In a bowl, mix flour and salt. Add oil and boiling water, mix thoroughly, knead until smooth and elastic firm ball. If too crumbly, add a little water. 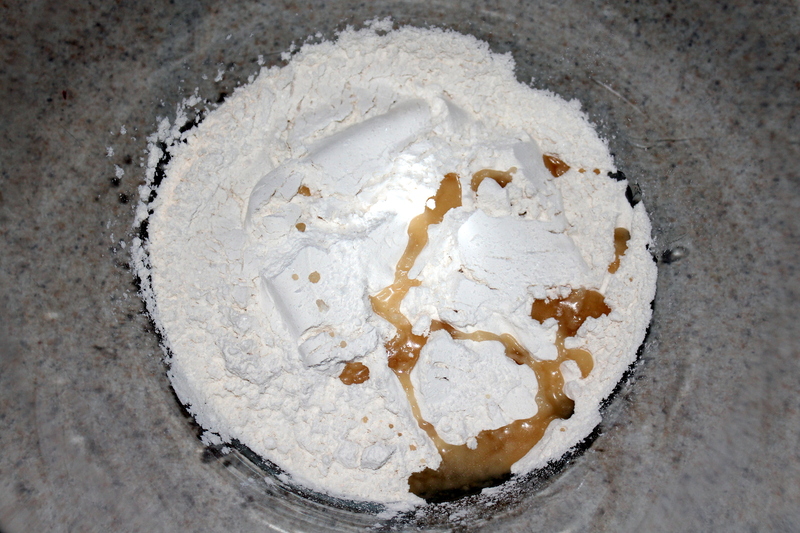 If sticky, add just enough flour to become workable.Cover the bowl with plastic wrap and let sit about 30 minutes. 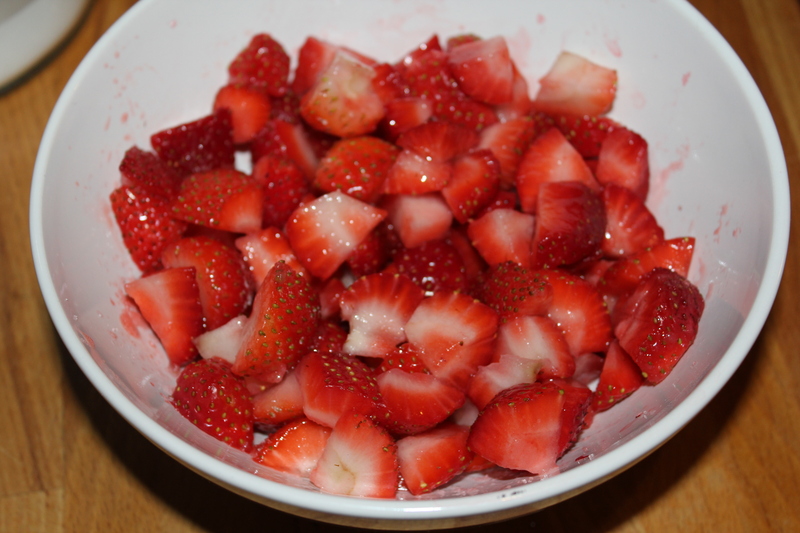 Meanwhile, wash, dry and cut in half or quarters the strawberries. Add a sugar, mix thoroughly. 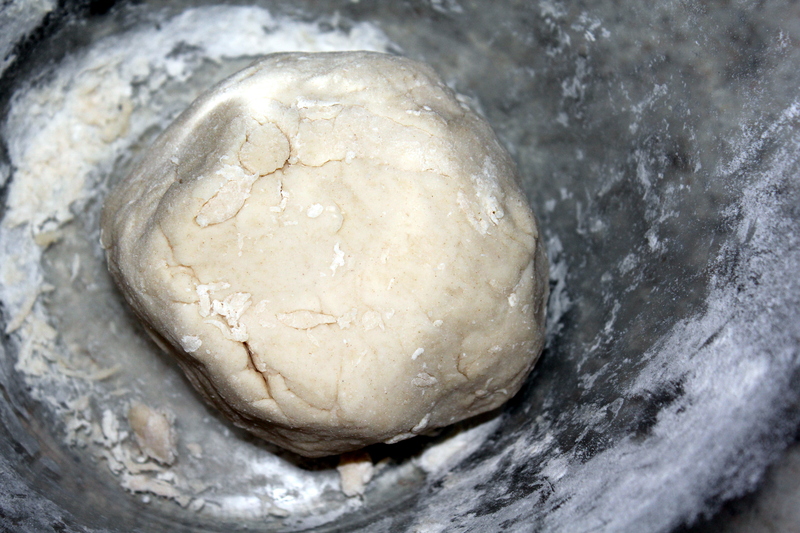 Divide the dough into 3 parts. Flatten each piece first in hands, sprinkle a pastry board with flour, then roll the dough into a thin sheet (about 1/12 inch; 2 mm thick), 1 part at a time (keeping remaining dough covered). 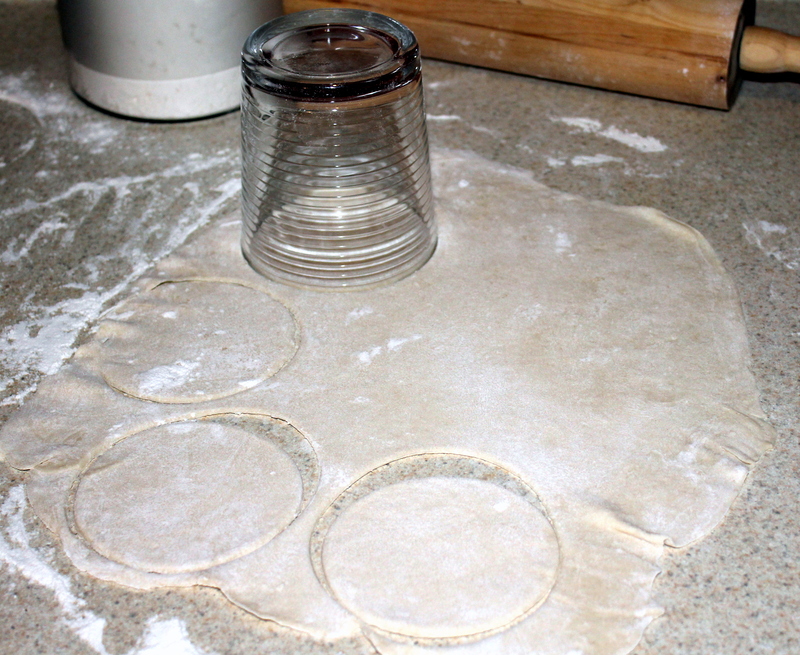 Use a round cookie cutter or the top of a glass to cut out about 3 inch wide circles. Place the pieces of strawberries in the center of each circle. 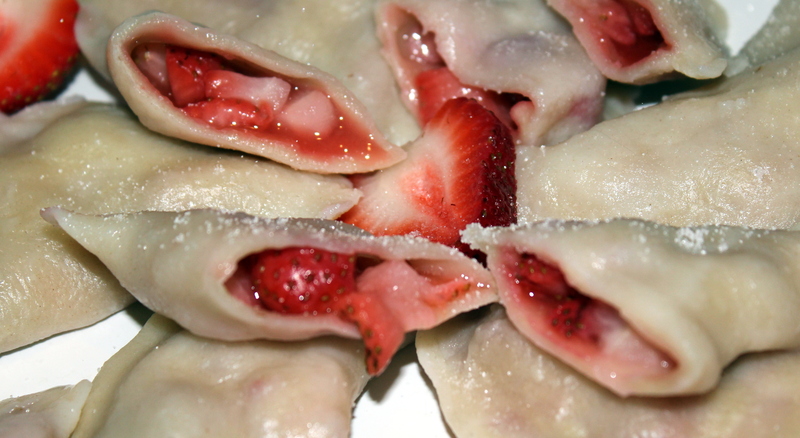 Fold the circle in half over the strawberries and pinch together the edges to seal. Transfer each one onto a lightly floured surface. Repeat until remaining dough is used. In a large pot, bring water lightly salt to a boil. Throw the pierogies into the water. Don’t overfill. Stir carefully to keep them from sticking to the bottom. 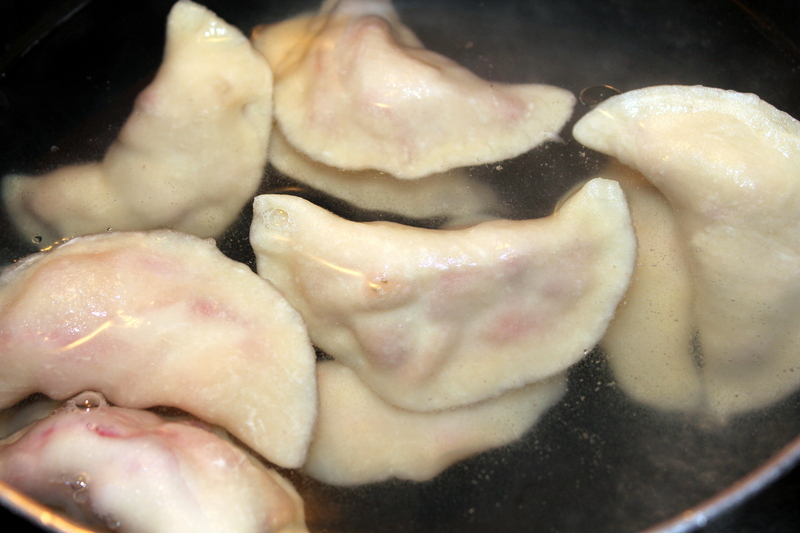 Once the pierogies have risen, cook for an additional 3 minutes. 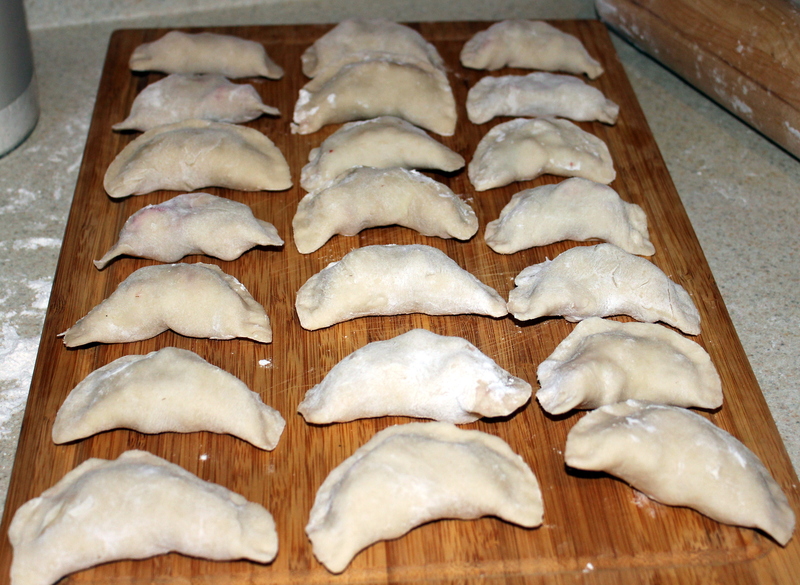 Use a slotted spoon to transfer the pierogies to platter. Serve hot with cream and sprinkle with sugar.